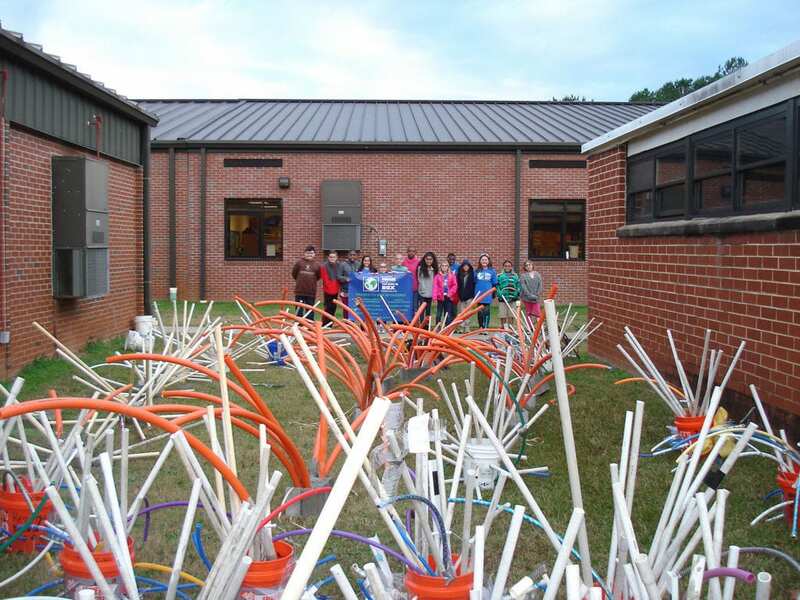 What can a teacher accomplish with a pile of junk, a group of elementary school students and a Coweta-Fayette EMC Bright Ideas grant? The answer is better fish habitats. 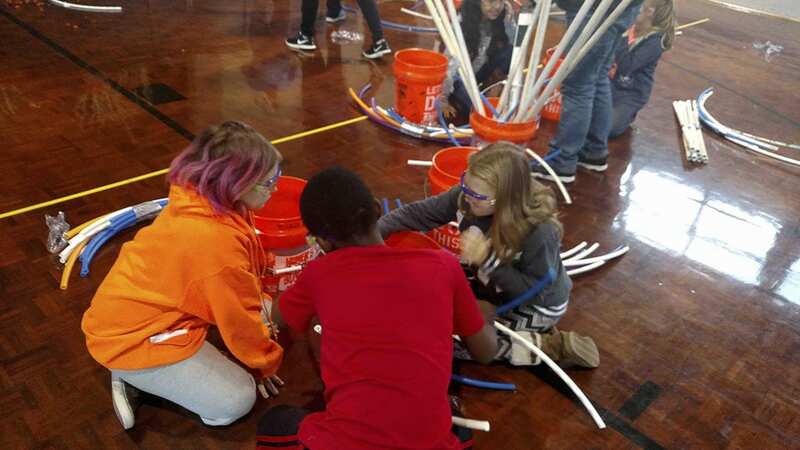 While relaxing in his boat, Dr. Tim Manley from Eastside Elementary School in Senoia got the idea for his students to build fish attractors. A fish attractor is “kind of like a fish crib,” said Manley. The attractors use buckets, pipes and other discarded items to create a place for small fish to feed and hide. Algae grows on the attractors. “The more surface area on the structure, the more algae growth there is,” said Manley. From there, aquatic insects, snails, small fish and other creatures feed on the algae. The more nutrients those animals consume, the better food they in turn become for larger fish, frogs and turtles. Manley described many of the local man-made lakes as “aquatic deserts.” The lack of underground structures means vulnerable fish. Each fish attractor contributes to a more sustainable environment. “If we can provide these structures, we can enhance the survivability of a population,” he said. Not only are these structures good for fish, but they’re also good for anglers. The attractors foster healthier and more abundant fish populations. Manley assembled a group of dedicated learners to form a Science, Technology, Engineering and Math (STEM) club. He calls the students “STEMbers.” STEMbers woke up early and came to school before other students to learn and build their attractors. “The children had a blast,” said Manley. Even though most of them “had probably never cast a rod or reel,” he said, they became experts in fish biology and the food web. With guidance from biologist with the Department of Natural Resources, Manley composed a 55-page curriculum that meets Georgia science standards. Teachers can adapt the curriculum for 2nd to 12th grade students. Manley adapted the curriculum for his 5th grade STEMbers. Manley knew he needed funding to get this project off the ground. He applied and received a CFEMC’s Bright Ideas grant in 2017. “[The Bright Ideas grant] showed our project’s legitimacy,” said Manley. Manley used the funds to pay for supplies and a field trip to the Go Fish Education Center in Perry, Georgia. If you are a teacher with an innovative idea in Coweta-Fayette EMC’s service area, consider applying to the 2018 Bright Ideas grant cycle. Each grant awards up to $1,500. The deadline to apply is August 14, 2018. For more information visit utility.org.